It’s that time of year again! Ugly sweaters abound. The eggnog is flowin’. That cousin you marginally know who lives in the woods and calls himself Wild Mike wants to talk about his hemi F-250. What are you going to do? Slip off into the other room, curl up by fire, and reflect on the nine biggest online advertising stories of the year. 2018 was one hell of a ride. From major re-brands to data scandals to targeting cutbacks—let’s dig into the headlines that made waves this year. 1. Exact Match Gets Less Exact (Again). 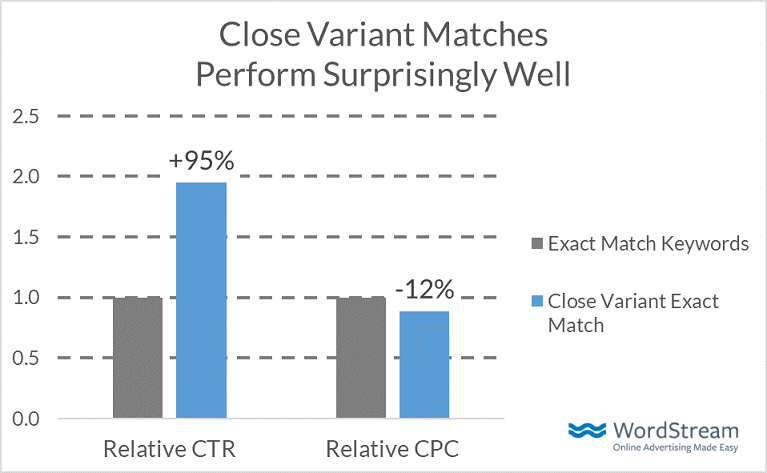 In the good old days of AdWords lore, exact match was just that—it was exact. If you bid on exact match keywords, your ads would only deliver when prospects searched for those exact keywords. 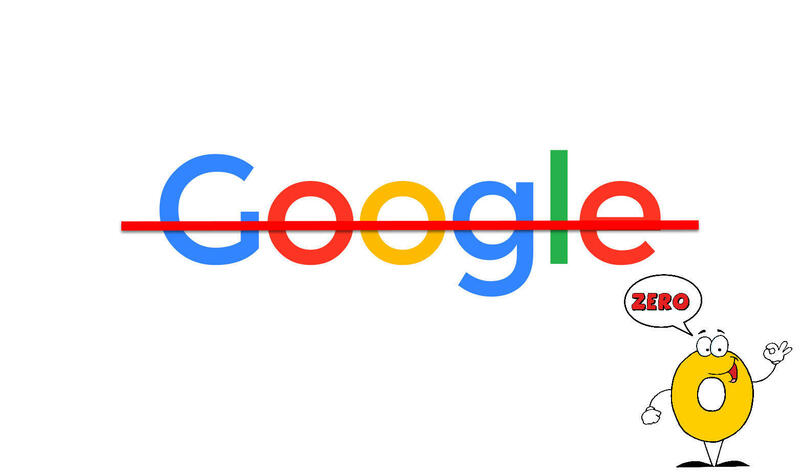 But Google has changed the definition of exact match in recent years to include misspellings, plurals, prepositions, conjunctions, and even out-of-order phrases. This year, Google announced that, yet again, exact match keywords would match to even more keyword variants. These could include synonyms, paraphrases, and any results that share implied intent. So, for example, if you’re bidding on the exact match keyword [yosemite camping], the queries yosemite national park ca camping, yosemite campground, and campsites in yosemite will also now trigger your ads. Not ideal, right? Actually, not as bad as you might think! WordStream clients saw an increase in click-through rates and conversion rates at a lower cost-per-click after the exact match changes took place. Something to keep an eye on in your own account! Far and away the biggest news to online advertisers this year (and to SEOs generating organic traffic from AdWords-related keywords) was Google’s grand rebrand of Google AdWords to Google Ads. The new Google Marketing Platform, Google Ads, and Google Ad Manager. The new Google Ads is more holistic and more simplistic than AdWords ever was and has shifted the focus of search advertisers toward audience creation, not just keyword strategy. “AdWords” as a concept isn’t exactly dead, though—even the most expert among us still forget the name change from time to time, and when people go to Search for Google Ads-related advice and services, they’re still searching, for the most part, for AdWords-related terms. Thanks in large part to machine learning, A/B testing got a heck of a lot easier this year. Responsive Search Ads is Google newest, largest, and most flexible search ad format. RSAs allow advertisers to write up to 15 different headlines and up to four different descriptions—which, collectively, can be arranged in 43,680 different permutations. That’s a ton of ad testing possibilities! 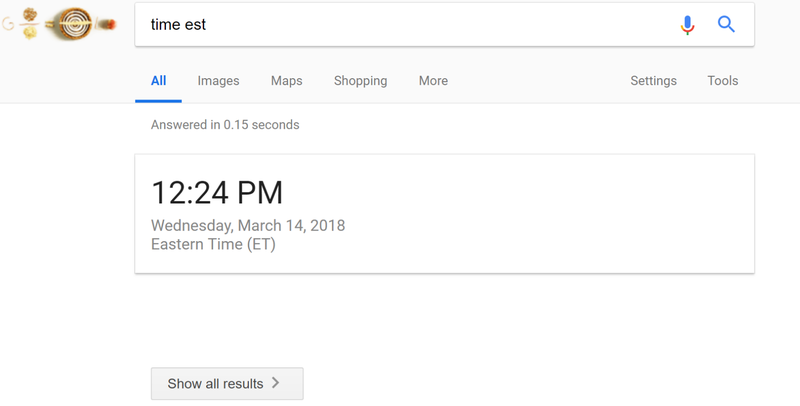 Google then automatically tests different combinations of your search ad copy and, over time, uses machine learning to determine which combinations perform best. Then it serves those combinations to prospects, taking into account the keyword they search for, their device, their past browsing behavior, and a whole host of other signals. 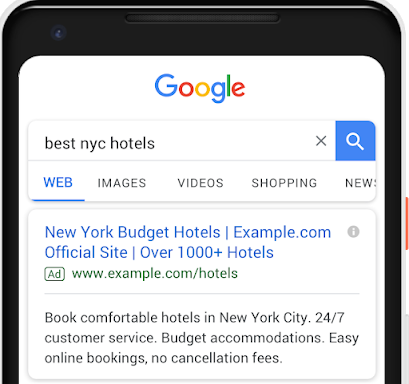 Google’s new Responsive Search Ads can show up to three 30-character headlines, a display URL with two 15-character path fields, and up to two 90-character description fields. That amounts to one more deadline, one more description, and 10 more characters of description text than an expanded text ad. Or, in simpler terms, way more SERP real estate! The OG expanded text ads were a revelation—search ads grew by 50%, which resulted in a very friendly 20% boost in click-through rate. This August, Google made search advertisers everywhere quite happy by expanding text ads yet again. The OG expanded text ads contained two 30-character headlines and one 80-character description (imagine we had to work with less than that at one point?! ); the NEW expanded text ads contain three 30-character headlines and two 90-character descriptions—effectively taking a cue from Google’s RSA specs. Unlike RSAs, though, the new expanded text ads give advertisers complete control over what copy you’re showing prospects. No automated spacing. Just more SERP real estate. 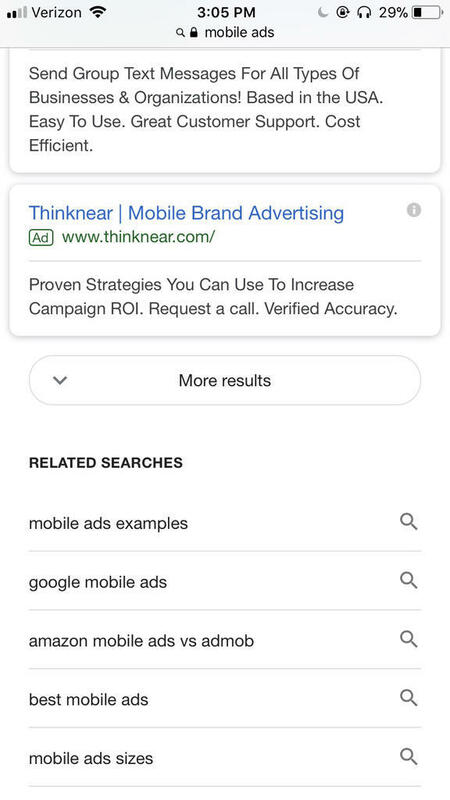 One of the driving forces behind the AdWords-to-Google Ads rebrand was the desire to make advertising on Google simpler and more intuitive—and Smart Campaigns are tailor-made for that purpose. Google’s new default ad experience, Smart Campaigns were created to make the new Google Ads a friendlier place for small business owners—advertisers who just want to get set up, get ads live, and get traffic and conversions with as little hassle as possible. Google estimates that Smart Campaigns are three times better at getting your ad in front of the right audience. Set up is as simple as creating an ad, setting a budget, describing your business’s product and/or service, and kicking your feet back. 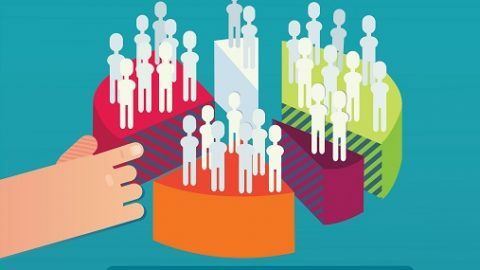 Smart campaigns are certainly an appealing option for small business owners just trying to get in the market, but advertisers with larger budgets will most likely continue to enjoy having more control over their ad spend. 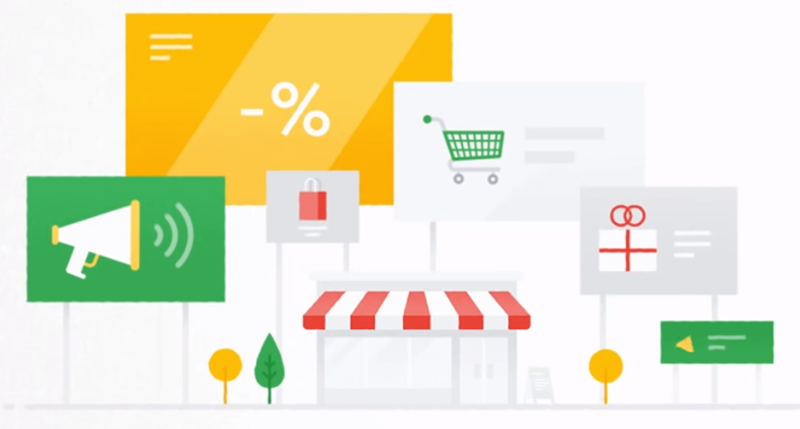 Google decided to double down on its new “smart” suite by announcing Smart Shopping at Google Marketing Live. Smart Shopping applies the same hands-off ethos of Smart Campaigns to the shopping network. Once again, the change is all about machine learning and automation. When using Smart Shopping, advertisers merely enter their campaign objective and their budget and Smart Shopping takes care of the rest with automated bidding and ad placements. It does this by pulling product creative from the existing product feed in your Merchant Center account, then serving the most relevant combinations of the creative therein to prospects across Search, Display, YouTube, and Gmail. The optimization process takes about 15 days, and Google reports that advertisers who use Smart Shopping campaigns drive over 20% more conversion value at a similar cost. And, to go with the theme of simplicity, Smart Shopping combines your display remarketing and the old standard shopping campaigns—so you no longer need to manage those campaigns separately. One of the biggest trends on the social side of things going into 2018 was Stories, and as the year went along, it became clear that this trend was more than a trend. Facebook execs on stage at F8 made bold claims portending that the usage rate of Stories would soon overtake that of the News Feed; and in the latter half of the year we saw multiple announcements about the monetization of Stories—most notably that Instagram Story Ads and Facebook Story Ads had either dropped or would drop imminently and that shopping had come to both. Part of the shift toward Stories has to do with the more overarching proliferation of mobile browsing. 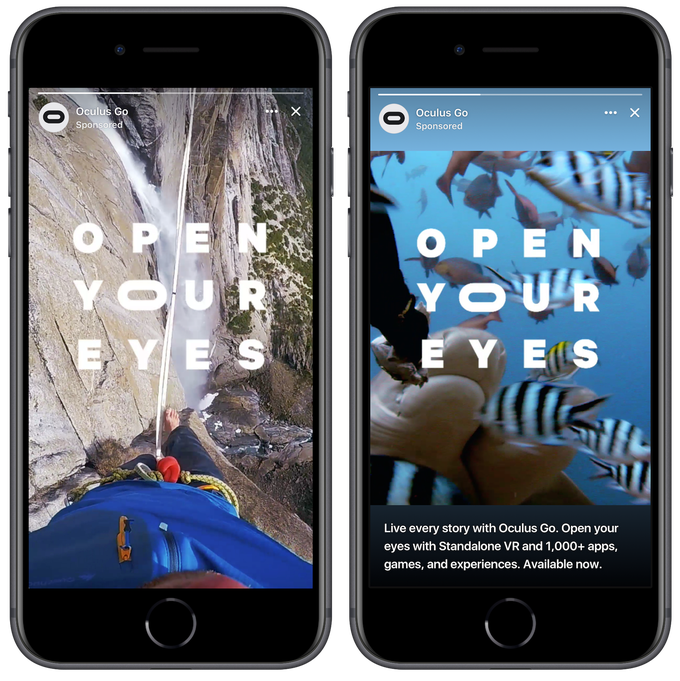 Companies want to create the kind of full-screen, vertical browsing formats that cater to mobile users—think Instagram TV, which also dropped this year—and the increased usage of Stories on both Facebook and Instagram shows that mobile users appreciate the innovation. If you heard the saying “a cookieless world” in 2017, you’d be forgiven for chuckling at how silly and whimsical it sounded. But in 2018, cookies became next-level nefarious to the average user. It all started with Cambridge Analytica, a political data firm that (it came out this year) accessed the private information of over 50 million Facebook users, then used that data to influence an election. From that monstrous breach came monstrous regulations—specifically, GDPR. The General Data Protection Regulation (GDPR) affected both Facebook and Google Ads advertisers in what’s being called the most important change in data privacy regulation in the last 20 years. Remember that flood of emails you got somewhere around Q3 from a bunch of subscription software companies informing you about their updated security policies? That was GDPR. The most fundamental change GDPR levied was mandating that companies start asking users for their permission to use cookie-based tracking. This affected Facebook Custom Audiences, RLSAs, and more. On a similar, albeit less significant note—in October, a data breach at Google compromised the private information of around 500,000 people (not 50 million people, but not no people, either) and forced them to sunset their much-beleaguered attempt at a social platform, Google Plus. Shout out to hackers for the standout performance of the year! This spring was a season for SERP changes, and Google had SEOs reeling from the tomfoolery. In March, Google released Zero Search Results, a SERP experiment in which they offered…zero search results. Not the worst idea, but as it turns out not too traffic-friendly to the pages that used to be in the index—especially when it turned out that Google still had some work to do when it came to determining which queries only required one result. It lasted about a week; back to the drawing board for now. Google replaced the option, on mobile, to click to the next page of the SERP with the option to merely expand (or elongate) page one. This experiment experienced a bit more longevity—it’s still live today! If you’re looking for a theme here, it’s this (or these): simplicity, cleanliness of data, machine automation, intent-based understanding. Those aren’t just buzzwords—there’s a real shift taking place among the big players—Google, Facebook, Instagram, Bing (kinda)—to understand what users want, and to provide it in an immediate and unfettered manner. Some semblance of control on the user’s behalf is naturally lost in the process; but that’s not necessarily a bad thing. Depending on whether or not you want online browsing to continue to get “easier” and more “intuitive,” it might just be a good thing. Whatever the case: Happy 2019 to all from the WordStream team! Keep on optimizing. Our Top 10 Blog Posts of 2018Facebook is expanding into Search Ads. What will this mean?